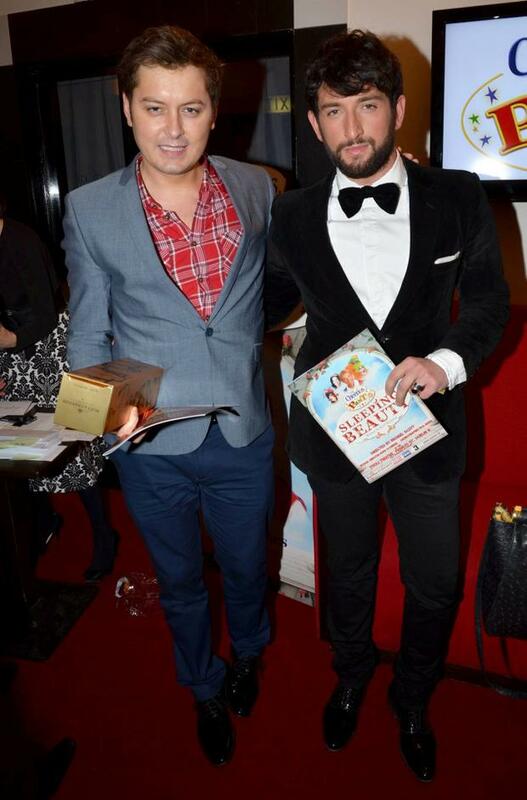 Preparations are in full swing for Big Brother star Brian Dowling's wedding this week. Brian is set to marry his fiance, Armenian choreographer Arthur Gourounlian, tomorrow. The couple have been together for three years and can hardly contain their excitement at tying the knot. "This week has been crazy! Time for last-minute shopping and packing," Arthur wrote online. Brian has been hitting the gym in preparation and went on a three-day juice detox. The former TV3 presenter made sure his beard was in tip-top condition when he popped into his favourite Dublin barbers, The Grooming Rooms, yesterday afternoon. Having been pampered to perfection, the TV star joined his sister - and chief bridesmaid - Aoife for some lunch at Dakota Bar. According to reports, Brian and Arthur wed in an intimate ceremony in London last week ahead of their Irish bash this week, which he says will be a "circus". Celebs expected at the wedding party in his native Dublin include model-turned-beauty maestro Pippa O'Connor. Pippa accompanied the reality TV star on his 'Sten' (a mix between a Hen and a Stag) to Mykonos, Greece earlier this month. She told her followers that she was having a "three-day work week" as one of her "best friends in the whole world" is getting married.